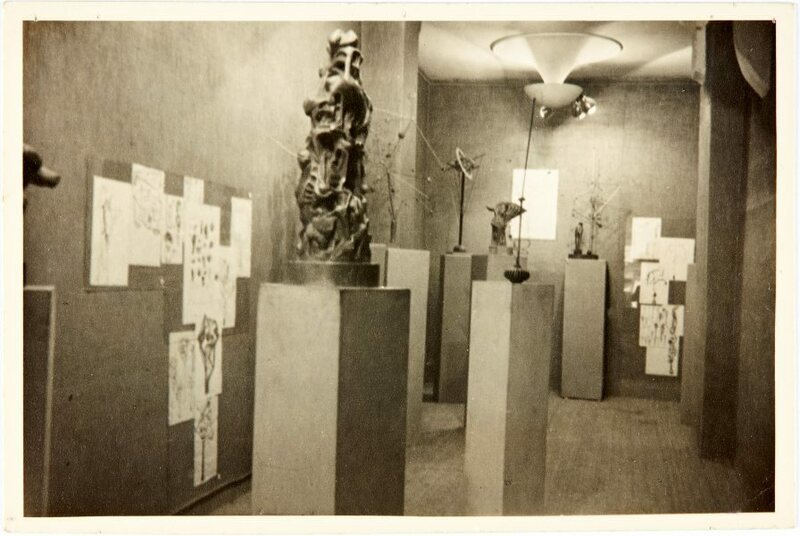 Robert Klippel shipped sculptures over from London for his exhibition at the Parisian Galerie Nina Dausset in May 1949. The French-Canadian tachist painter Jean-Paul Riopelle helped Klippel install this exhibition. Not signed. Dated u.r., verso, pen "1949".